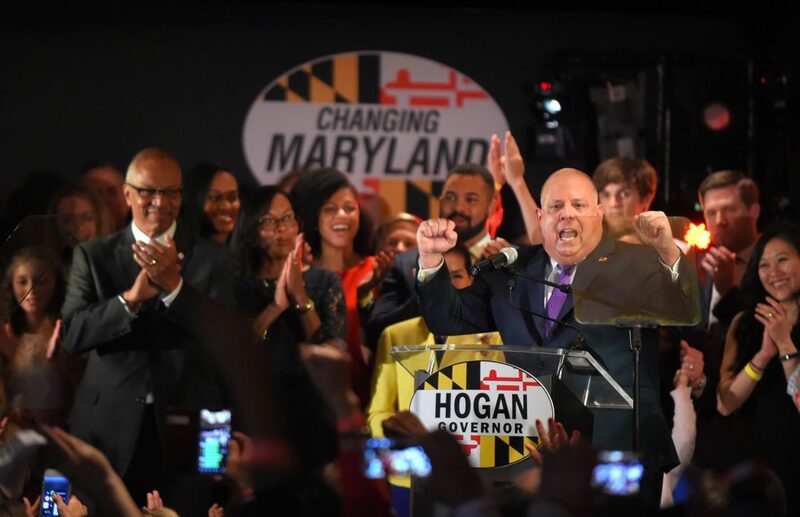 “Actions like these are exactly why Marylanders are fed up with politics as usual,” Hogan said. Governor Hogan of course is absolutely right on this. For far too long, redistricting has been held in the hands of the Maryland Democratic Party. As we have documented time and time and time again, redistricting in Maryland has been less about providing representative congressional and legislative districts, and more about maximizing the ability of Democrats to elect as many rabid left-wing radicals as possible. Governor Hogan is right, too, to point out the fact that Attorney General Brian Frosh has mud on his hands when it comes to redistricting. Frosh’s judgment on this is clouded by the fact that he was a State Senator at the time the Democrats foisted these horribly gerrymandered districts onto the people. Frosh is certainly not a neutral observer in this. While Governor Hogan suggests that Frosh should recuse himself over his involvement in the State Senate, I think there are better reasons for Frosh to recuse himself. Given Frosh’s rabid politicization of his job and the fact that he has turned the Maryland Attorney General’s office into a de facto arm of the Democratic National Committee, Frosh is incapable of being an impartial broker. All of Frosh’s decisions are tinted through a partisan lens, including this decision to continue to a court case at taxpayer expense that nakedly tries to keep a Democratic political advantage at the expense of Maryland’s taxpayers. The appointment of the non-partisan commission is also a view into what the post-2020 census redistricting process is going to look like. State law gives wide latitude to the Governor to determine the makeup of the redistricting commission will look like. Governor Hogan has made non-partisan redistricting form one of the key objectives of his administration, particularly his second-term. Though he continues to have a wide berth on redistricting based on the Democrats refusal to consider redistricting reform, Governor Hogan has not taken advantage of it. He has set proposed a fair commission, three Democrats, three Republicans, and three independents, to adjust the boundaries to meet the court’s requirements. There is no reason to believe that the Governor won’t make the same decision for the congressional and legislative redistricting when that time comes in 2021. And that’s where the political genius of Governor Hogan’s commission is. Voters and taxpayers are going to see in advance what districts drawn by a fair, independent, and non-partisan commission look like. No more we will see commissions we have in the past comprised of four Democrats and one token milquetoast Republican, a commission that exists solely to rubber-stamp whatever radicalized and hyperpartisan maps were put in front of them. Voters are going to get the opportunity to realized how much Democrats have been sticking it to them over the course of decades, creating maps where a supermajority of Democrats face little to no opposition in general elections. This will ultimately put political pressure on Democrats to finally act. Legislative Democrats have been relying on non-sense arguments in the past to rebuff efforts to pass redistricting reform. Senate President Mike Miller has said that Maryland should not “unilaterally disarm” unless other districts pass redistricting reform. Legislative leaders have pushed nonsense multi-state compacts that won’t bind Maryland to take action until other states also pass redistricting reform, a “reform” that expires in just over two years. Democrats will be hard-pressed to continue this charade of defending hyperpartisan redistricting once they how Governor Hogan’s independent commission redraws these congressional lines, and they were certainly be unable to defend themselves once Governor Hogan introduces new congressional and legislative districts in 2022.